Home » News » What’s the Deal with Protecting Your Ends? What’s the Deal with Protecting Your Ends? How long has it been since you’ve seen an increase in the length of your hair? Retaining length has everything to do with how well you are treating and protecting your ends. To put it in perspective, the ends are the most elderly part of your hair, so you have to give them the most respect. Protecting your ends by giving them a little TLC will take you to great lengths! Deep Condition Its practically summer. The birds are chirping, the trees are blooming, and the sun is beaming! That’s great until you consider the damage the sun’s rays could be inflicting. UV Rays are damaging to the cortex of your hair and make it susceptible to breakage. To combat this, you need your DDR. Deep conditioning for at least five minutes every couple of weeks (depending on your hair), and paying close attention to your ends, will start the repairing process for your cortex and give your ends strength. Deep conditioning is vital to protecting your ends internally. Bye, bye breakage! 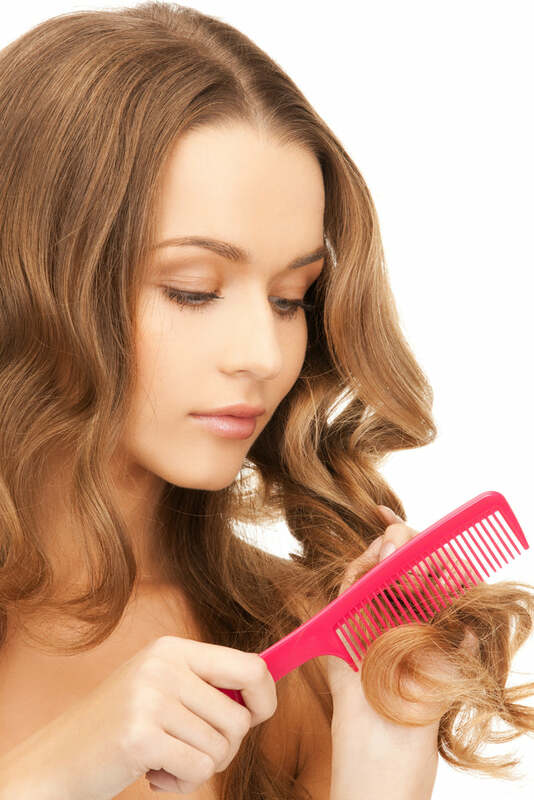 Detangle If you have a head full of springy curls, detangling while protecting your ends can be tricky. The easiest way to detangle properly is to do so while the hair is wet and teeming with conditioner. Start at the ends and move up the shaft of the hair. Protecting your ends by being very cautious will keep them from snapping off with each stroke of the comb/brush. Remember, slow and steady wins the race! Sayonara tangles! Protect Protecting your ends physically will be the final step in retaining your length, but what does this mean? This means that you are protecting your ends by hiding them. How do you do this? Find hairstyles that allow your hair to be up like buns, braids, and cute coifs. Protective hairstyles will keep your ends out of harms way, and will allow them to flourish. Protecting your ends with hairstyles is both simple and super cute! Patience Now that you’ve added deep conditioning, gentle detangling, and protective styling to your hair regimen, you will begin to see a change over time for the better. Protecting your ends requires constant maintenance but remember that the love you put into your hair will be the result you get out!